So you are a Stay at Home Mum? So am I! And you need some extra cash? So did I! What are you going to do about it? Struggle along like I did for a while or decide to do something about it? Something like Discovering the Benefits of Starting a Business. The thing about being a stay at home mum is that this is a choice you have made to look after your kids solely. It may feel like your purpose, your drive, your reason for existence to be the main carer for your kids. And yet, at the same time, you feel somewhat bored and dissatisfied with your lot. Shocking! But True for some of you. Or maybe, you feel incapable of doing anything other than look after your kids because your inner chatter is just not great! I felt both these things. I had failed dismally at my finances and had sooooo much debt that I had to go bankrupt. So I felt incapable of being trusted with anything other than looking after my babies and I went through a deep depression where I felt completely numb. When I awoke from that, It took me a long time to admit the fact that as much as I wanted to be the main carer for my princesses, I also needed to stimulate myself in other ways. I felt guilty for even thinking it and then even worse for saying it out loud to my coach. However, that was the start of a new freedom in my life and in my business. Since 2010, after waking from my self imposed depression after facing massive financial troubles, I decided to build a business that could be done around my kids. Sometimes, the balance has been wrong but little by little, day by day, I have created a successful property business that allows me to fulfil my heart’s desire of blending motherhood and business. Now, I am helping other mums do the same. Not necessarily in property! So What are the benefits of Starting in business for Stay at Home Mums? This is the Ultimate driver for me. I home educate three lovely princesses and have a business that creates enough for my family to live on if we should ever need to. At the moment, everything I earn is reinvested in building the business as Tloml (The love of my life) is also in business. What of You? What if you could build a business that allows you spend more time with your children than anyone else does? This is another big one for me. I spent a lot of my growing up years in Africa with a paraplegic Dad who had been made to resign. My Mum had had to step up her game considerably in order to keep us going. Things could have been a lot worse without the strength that my Mum showed and yet, there were times when simple things like bread and milk were a luxury we could not afford. Maybe you are struggling right now to ensure your kids stay fed, or maybe you simply have a dream in your head that your kids go on holiday sometime soon. Whatever it is, how amazing would it be to create an income for yourself, regardless of what your partner is doing. Maybe, you do not have a partner. You are struggling on your own to make things happen. You do not want a normal job but feel you have no choice. I am here to tell you that you can start something on the side that develops into something that supports your lifestyle and enables you work from home around your family. I separate my life into two compartments – Pre- Children and Post-Children. Pre – Children – I could go wherever I wanted whenever I wanted, do whatever I wanted whenever I wanted ( I actually did not do as much as I could have! ), be whoever I wanted… or so I thought. 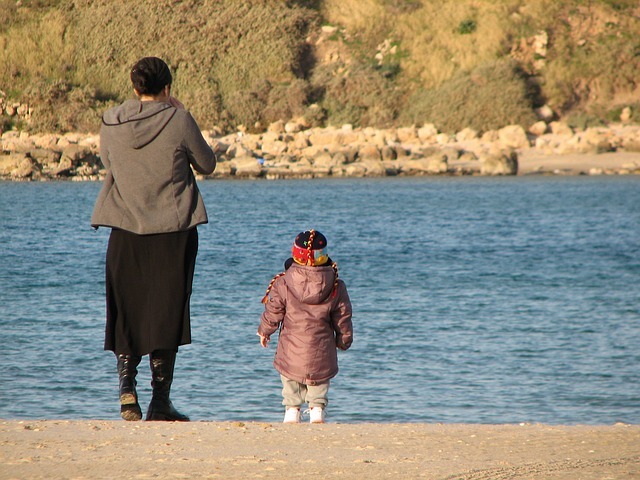 Post- Children – Life becomes a lot more creative as you find ways to work around your children, you work around a fairly constant state of tiredness, you work around constant demands on you and life becomes more than just about satisfying your every whim. And yet, YOU ARE STILL YOU under all the demands. You still have a need for significance and fulfillment separate from your kids. One of the benefits of starting a business is that you can have both mental stimulation for you whilst remaining a stay at home Mum. Sometimes, it will feel like a whole lot more stimulation than you would like but then with guidance and support, your life can become all you dreamt it could be. Fun, stimulating, profitable and family-oriented. The benefits of Starting a business for Stay at home Mums like you and I are numerous and though I have only given three, you KNOW what it would mean to you to have a successful business that you run from the comfort of your home. The only thing I would suggest to you to make this work for you quickly is get support. I reached my goals pretty quickly because I got coached and mentored fairly early on in my journey. I paid out thousands and got back tens of thousands. I believed in myself sufficiently to pay out the cash. Now, I am certainly not saying you need to pay out thousands immediately, unless that is what you want to do. For now, You could start by joining in on a FREE Webinar. Click on the link – Http://RosemaryKnight.com/webinar. This is all about you! What do you want to learn about? Leave me a message down below and I will choose 2 – 3 of the topics picked. You be ready to get to the bottom of whatever your concern in life or business is. Hurry up and register and block the time out on your calendar – There are only 50 spaces so be a part of it and get your questions answered. help me cos ilike what ihear! I am always happy to help. Anything in particular? 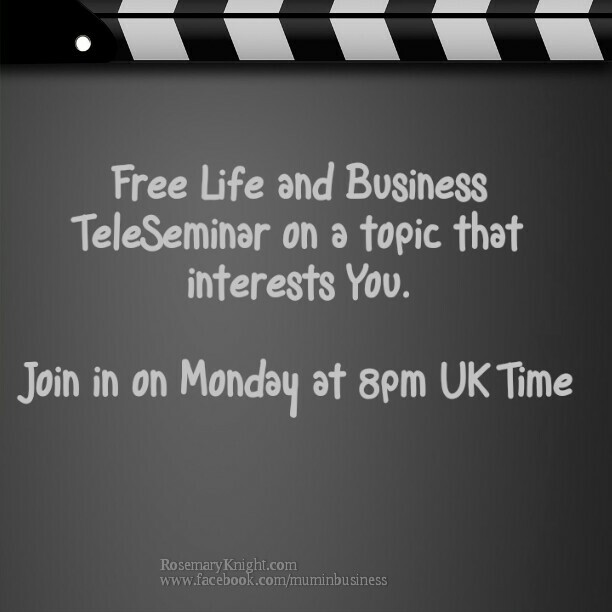 Ask me a question and I will certainly try to answer it on the webinar on Monday at 8pm. I am Starting Up My Own Business. You got Any Tips?